Kitsilano is saturated with coffee shops. Liza Wajong counts five in the vicinity of her unassuming cafe. The interior of Nusa Coffee is warm despite the November chill, rich with the smell of roasting beans and light delicacies. Tucked around the corner is a painted map of the Indonesian – Nusantara in Old Javanese. ‘Nusa’ means ‘island’ and the geographic origins of the blends of coffee that Liza imports and sells in her shop are neatly represented on the map. Liza is enthusiastic and loses no time in introducing me to the dizzying world of Indonesian coffee. I opt to try unfiltered kopi tubruk that I sweeten with dollops of condensed milk. We are interrupted by the sudden arrival of a crowd of customers gathering by the counter. Liza briefly excuses herself to help the swamped barista, giving me time to study the map in detail. Nusa’s coffee is obtained from farms in the highlands of northern Sumatera, Toraja in the Sulawesi interior, the volcanic slopes of Mount Agung and the Ijen Crater, and distant Flores. I munch on cassava cake while sipping my kopi. Coarsely-ground beans are roasted to create a brew strong enough to give me the jitters. 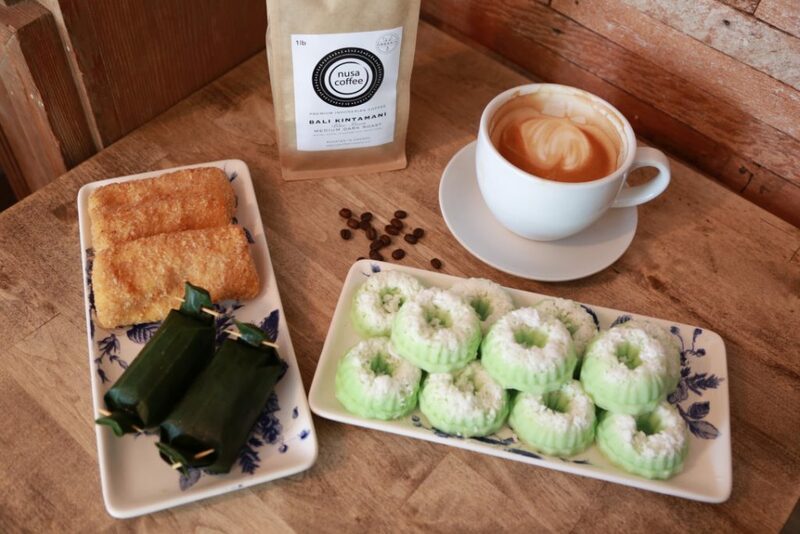 It is not just the coffee, but also the desserts like rice cakes and pandan snacks, which remind me of a Southeast Asian childhood. When she returns, Liza tells me that she especially enjoyed the coffee grown on the far-flung island of Flores, where the Komodo dragons thrive. The flavours of each individual blend are moulded by the soil in which the coffee grows and the techniques by which the beans are harvested. Each island reflects different histories and cultures despite shared similarities across Indonesia. This national diversity is something that Liza has always been passionate about. 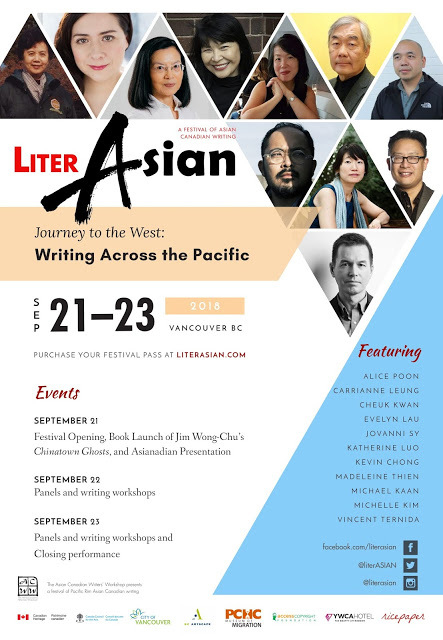 Ever since arriving in Vancouver almost twenty years ago, she has been interested in sharing Indonesian culture despite also having to raise a family and navigating life in a new country. 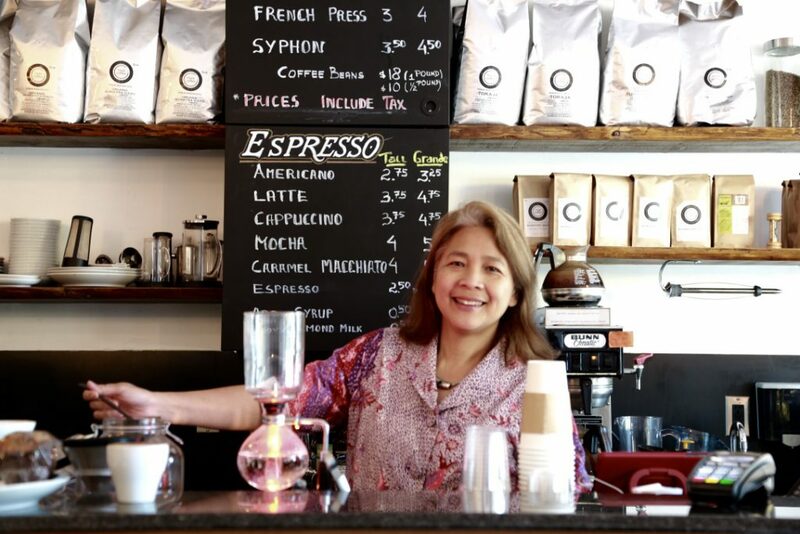 After previously trying different avenues, including exhibiting batik and co-founding the Canadian Indonesian Diaspora Society, Nusa is proving to be her biggest success on the coffee-loving West Coast. Coffee culture is ubiquitous in Indonesian society, appearing everywhere from roadside warungs in the royal city of Yogyakarta to cafes in former colonial offices in her hometown of Jakarta. In fact, Multatuli’s anti-colonial novel Max Havelaar partly revolves around a greedy Dutch coffee merchant who derives his wealth from colonial Java. Despite facing an uphill challenge when Nusa first opened its doors early this year, Liza had a team of dedicated staff on her side. Soon she gained a loyal following from regulars who appreciated the unique flavours of her single-source coffee. “It’s not a sprint, it’s a marathon,” she comments on the nature of her business. The idea for a coffee shop took root during a return trip to her husband’s hometown of Surabaya two years ago. Her sister-in-law worked for a state-owned coffee enterprise, and another connection led her to an agent in New York involved in marketing Indonesian coffee. There was also generous support from the Indonesian Trade Commission when she decided to expand her business. Thus began the process that would lead to her making connections with farmers in regions where she would eventually source her coffee from. Liza insists on maintaining direct connections to the farmers, and has succeeded in personally visiting all but the plantation in Toraja. 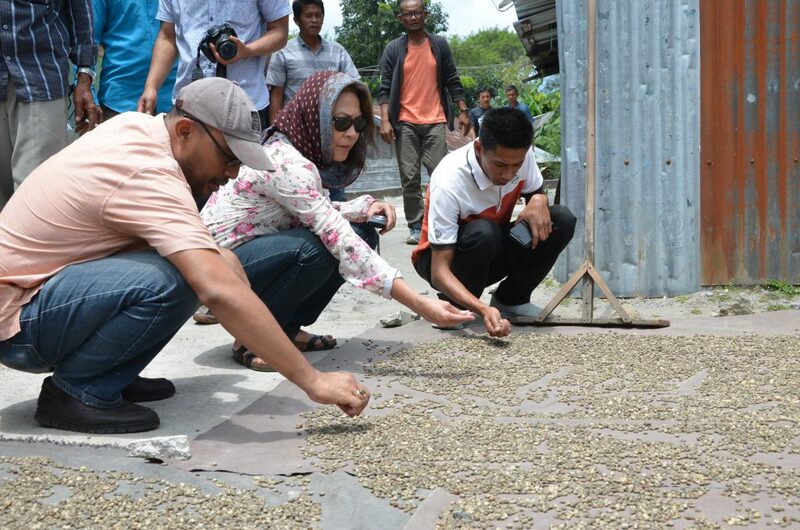 This past summer, thanks to the efforts of the Conference Board of Canada and through the Indonesian Trade and Private Sector Assistance Project, she returned to Indonesia to visit the plantations in northern Sumatera. 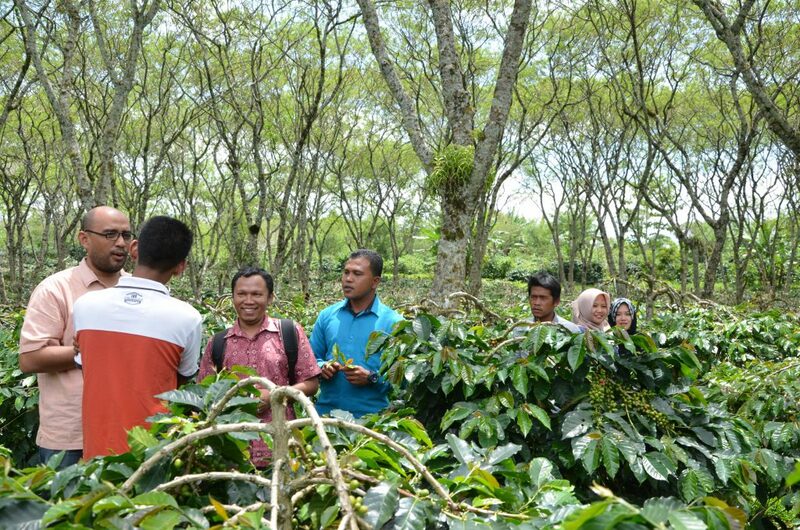 Up in the highlands of Gayo, located in the restive province of Aceh that won a hard-fought autonomy from the central government following a separatist movement, 80,000 hectares of crop is tended to by a mosaic of cooperatives and families. Hundreds of workers pick the berries from shade-grown coffee trees twice a year. The implementation of mixed-use farming techniques, locally called Tumpang Sari, allows farmers to also plant crops they need like chillies, avocadoes, and fruits, in addition to enriching the soil. This experiment in sustainability is already starting to reap dividends for the families involved in the process. At the same time Liza has to juggle an expanding domestic and international operation that sees her considering a potential branch in Toronto and online commerce. The stories of the people she met were incredibly profound and exposed her to the huge gulf in experiences between herself and the farmers, worlds away from Jakarta or Vancouver. She articulates this with a passion that transcends the walls of the small coffee shop. Nusa Coffee is open daily at 2766 West 4th Avenue, Vancouver. The Canadian Indonesian Diaspora Society also worked on an oral history project entitled ‘Our Stories, Our Words’, which the late Jim Wong-Chu initially assisted with before his untimely passing. 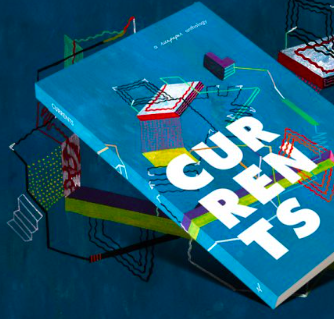 Read more from our ‘Food and the City’ series here!